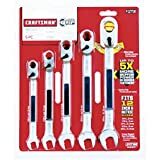 Craftsman 934566 9 piece 3/8" drive easy-to-read metric socket set whether youre tying down an engine Block or torquing hard inside an appliance, this Craftsman 9-Piece socket set gives you the grip you need to get the job done on your own Terms. 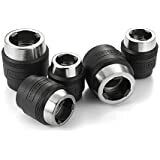 Perfect for ratchets, extensions, angle adapters or torque wrenches with 3/8" drives, these metric sockets are easy to read, so you'll be able to identify the right size instantly. Save time trying to hunt down the right size with this set from Craftsman. 1.0 out of 5 starsNot as advertised. 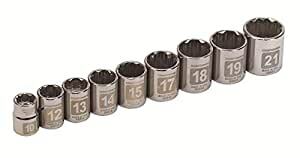 Picture shows sockets with large, easy to read sizes, and a large Made in the USA label. The product I received does not have the large, easy to read sizes and is Made in China. Bait and switch by Amazon. 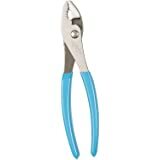 The picture shows a nice tool thats made in the USA. The product is made in China. 1.0 out of 5 starsDon’t fit correctly on a made in USA Craftsman breaker bar. These don’t stay secured on a made in USA Craftsman 3/8 drive breaker bar. Slip right off without positive locking. May fit a made in China Craftsman tool? 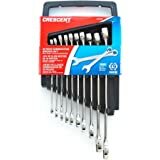 5.0 out of 5 starsI got my LIFETIME guarantee [made in China] CRAFTSMAN socket set and am pleased. The case in which the sockets arrive ARE secured so shoplifters don't have a chance of stealing, individual sockets. THAT said, when you get home and desire to store them in the container housing them you'll need a very sharp SMALL knife, or an exacto-knife-kit. There are probably 8 connector tabs that need to be cut off. Then, with the cover OFF, you'll STILL need to hack-away a bit of the socket holder-hubs to get each socket out. Be careful; VERY careful. To be honest, the price I paid for these [during a Christmas Sale] was SO0o reasonable, I cannot mention it for fear my review will be unpublishable. HIGHLY recommended if you get an "add-on" price like I did! Got them for a good price and they are well made. I like the engraved sizes and I used a permanent sharpy on them to enhance the number. I have never encountered a package so hard to open. It took a long time to remove a socket. I finally had to use wire cutters, but I was careful and am able to use the package to store the sockets. The package does a better job of holding the sockets than a socket rail.